When shoulder pain interferes with everyday tasks, even a minor problem becomes a major inconvenience. Many issues clear up in a few days, but if symptoms persist, it’s time to see Dr. Faranak Taheri of My Chiropractic Doctor in Tysons Corner, Virginia. Call today to make an appointment. Tendinitis: Rotator cuff tendinitis is the most common cause of shoulder pain. As with any tendinitis, inflammation causes the pain, usually due to strain, repeating motion, or other injuries. Tissue tears: Also affecting the rotator cuff, torn muscle and cartilage both create pain. Arthritis: Both rheumatoid and osteoarthritis affect the shoulder. Impingement: This may cause pain where the rotator cuff is caught between the scapula and humerus. Dislocation: If the ball of the humerus comes out of the socket, this may cause another type of shoulder pain. Referred pain: This includes problems that occur in the back or neck, but transfer problems to the shoulders. When should I contact Dr. Taheri about shoulder pain? Pain persists longer than a few days, or if it gets worse. Pain heals on its own but recurs frequently. When shoulder pain interferes with the strength and use of the arm. Pain occurs when the shoulder is at rest. The joint becomes deformed due to injury or swelling. 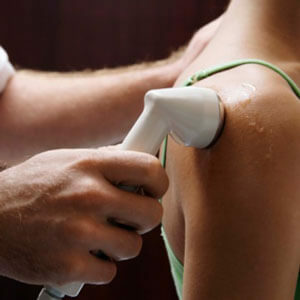 The shoulder shows signs of bruising or infection, including redness, warmth, and swelling. For incidental pain occurring due to overuse, resting often allows swelling and pain to pass. Using ice, heat, or stretching at home may be tricky since, in the case of the shoulder, many different ailments could cause the problem. Dr. Taheri’s treatment bases around the diagnosed cause. This may include joint manipulation, soft tissue therapies, and continuing rest, ice, heat, or exercise — which she will discuss with you after diagnosis.